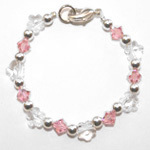 Introducing a line of precious baby bracelets made by Juma™ Baby Designers. 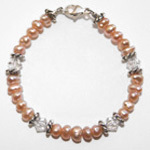 Juma™ bracelets are made by hand, one at a time from the finest, individually selected components. 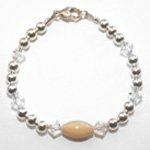 Each bracelet starts with a durable, nylon-coated wire and is then adorned with Juma™ exclusive designs, using the finest quality gemstones, crystals, and beads. 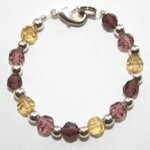 Each bracelet comes in a dainty jewelry pouch. 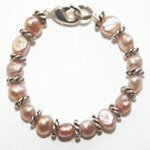 Also available are matching mother's and grandmother's bracelets. 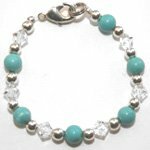 A baby bracelet is a beautiful gift for a baby shower, for a hospital gift, for a coming home outfit, a baby blessing/christening, or a 1st birthday. 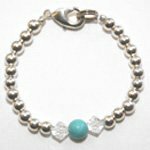 A bracelet is not only an elegant accessory that will look darling on your baby now, but it will be a lasting keepsake for the mother to cherish long after the baby has grown up. Warning: These baby bracelets and/or their components are small and pose a choking hazzard to infants. 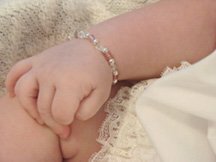 Never leave an infant or child unattended when wearing a bracelet. 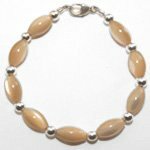 Furthermore, these baby bracelets are not intended for unsupervised, daily wear.